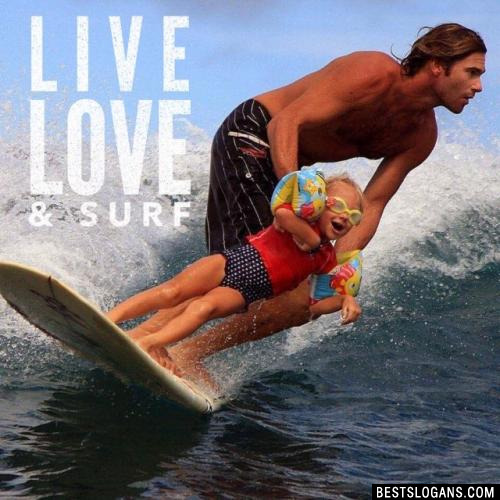 Surfer captions, slogan ideas, surfing quotes & more with pictures to use before and after you hit the waves. 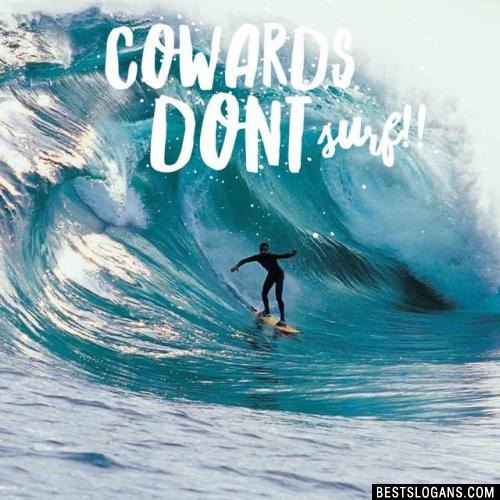 Captain James Cook was the first person to describe surfing (or he'enalu in Hawaiian), in 1778. He saw a surfer whom he described as someone 'who had the most supreme pleasure while he was driven so fast and smoothly by the seas.' 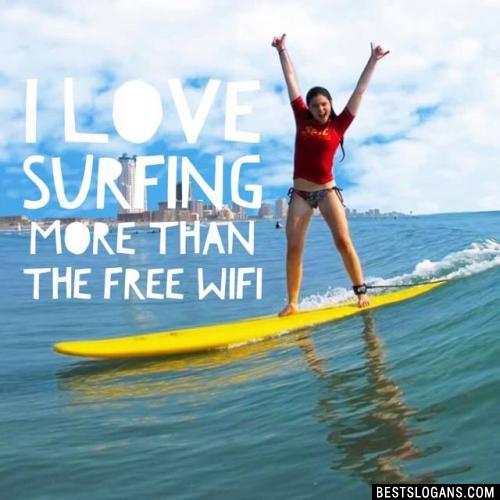 Here are a few more crazy facts about surfing. The first official surf contest took place at Corona Del Mar, California in 1928. 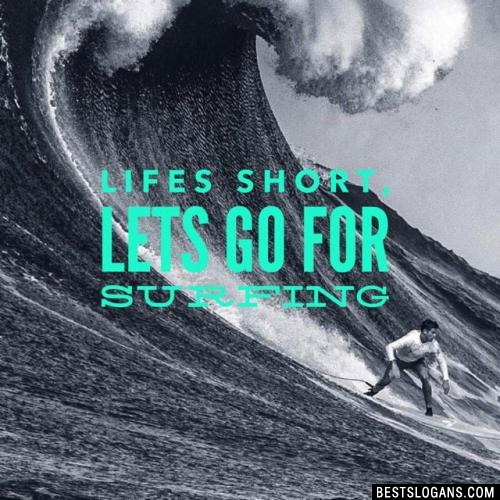 There are two types of surfing; short boarding and long boarding. The first university to offer a degree in surfing is the University of Plymouth. The biggest wave recorded was 530 meters in Lituya bay, southern coast of Alaska. The longest ride ever done on a wave was 37 minutes in Pororoca. Surfing is bigger than ever. Though an ancient Polynesian pastime imbibed with spirituality and cultural significance, it only began to emerge in terms of global popularity during the late 1950s and early 60s. At this time, the modern surfing era began in its ancestral home of Hawaii as well as in California and Australia. Since then surfing has gone through a few booms and even some lulls, but in terms of mainstream appeal and global spread, it is now experiencing unprecedented growth. From Hawaii to Bali, Portugal to Russia, South Africa, Brazil, California and Morocco, there are dedicated surfers, hobbyists, professionals and casual admirers of surf culture. 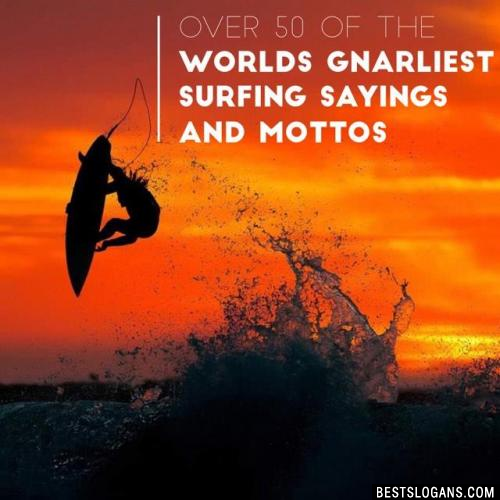 Can you think of a good Surfing Slogans we're missing? Or come up with a clever one of your own. Please share below.